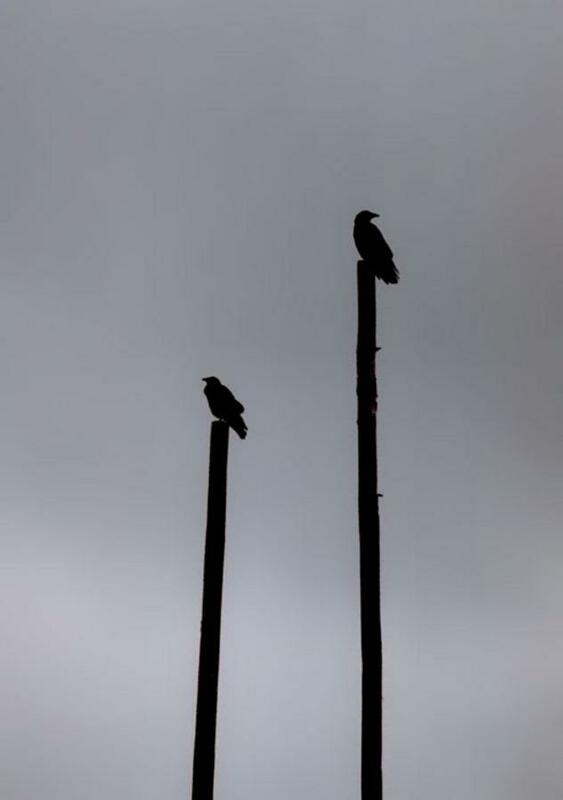 On a very cold and rainy day one November, I stood in a field, empty except for two unstrung telephone poles. I'd been trying to take pictures of the torn clouds on the horizon when two crows decided I needed investigating. I got the horizon shot, by the way, but the crows turned out to be more interesting.